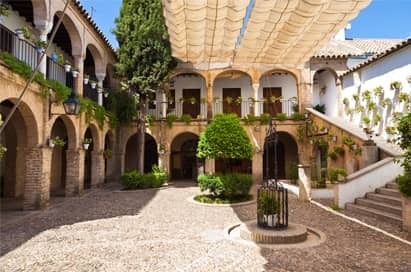 A school trip to Andalucia and the associated region will both meet all your expectations of Spain as well as defy them. 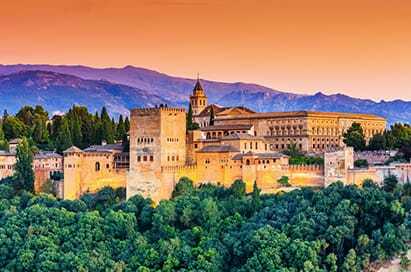 The home of the passionate flamenco, the dramatic bullfight, beautiful Moorish architecture and the majestic Sierra Nevada mountains; for many this region encapsulates the essence of Spain. All this lies only miles inland from the Costa del Sol, which in complete contrast is one of Europe’s most developed holiday resorts. 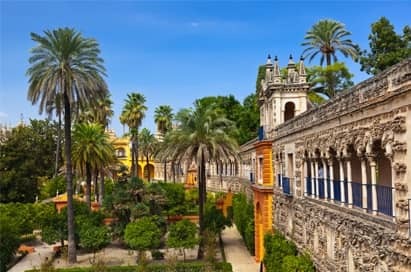 A school trip to Andalucia has it all; whether you choose the coastal resorts with all their facilities or the charming inland towns as your base there is a diversity of attractions, and places to visit that will captivate your language group. Created originally for military purposes, the Alhambra was an alcazaba (fortress), an alcázar (palace) and a small medina (city), all in one.The visit begins with the Alcazaba military fortress, followed by the Palacio de Carlos V, then the Palacio Nazaries and finally a stroll through the Generalife gardens. The Palace is the most visited monument in Spain and has a strict admission policy that limits the daily number of visitors, therefore a visit must be planned well in advance. The Isla Magica amusement park, which opened in 1997, is located on the original Universal Exhibition site in Seville. It is an exciting and modern amusement park centred around a lake and divided into seven themed areas representative of different episodes in Spanish 16th century history. There are over 40 rides and attractions, roller coasters, shows and a cinema. 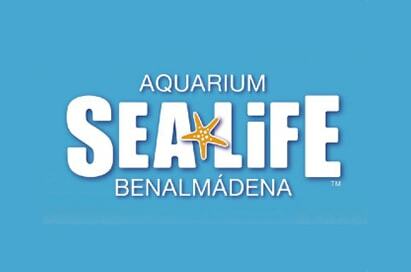 One of the most popular attractions for people visiting the Costa Del Sol! Aqualand provides a truly amazing day out for all! Park offers a number of Water Rides, pools and lots of space and green areas to relax in the sun with Umbrellas, Sun beds and Picnic areas. The show features ten artists on stage, including six dancers, two guitarists and two singers. Inside the decoration is typically Andalucian, with hand painted tables and chairs, typical of Sevilla and the region. 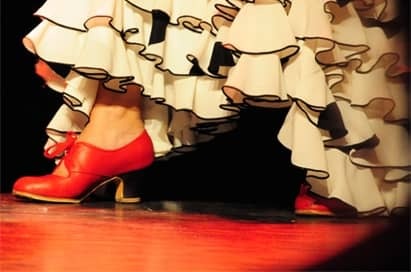 The Tablao opened its doors in 1965, it has remained continuously open to public with the same dedication to the art of Flamenco. The Cathedral of Seville was built in the 15th and 16th century in Gothic style on the grounds of former Arab Mosque. It is the largest place of worship in Spain, and the third largest cathedral in the Christian world. The massive Gothic cathedral is the site of Christopher Columbus’s tomb and has a famous minaret turned bell tower, the Giralda which offers magnificent views of the city. 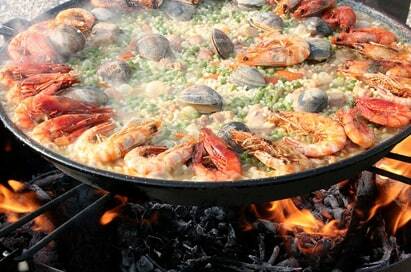 Enjoy Spain's national dish during a traditional Spanish cookery class, making and eating Paella! Or why not eat and socialise the way the Spanish do by tasting a variety of tapas dishes in this popular evening activity. Learn about the creatures inhabiting the Mediterranean and the causes affecting climate change. Through a spectacular underwater tunnel you will discover a stunning tropical reef sharks and turtles. The Mezquita (Great Mosque) dates back to the 10th century when Cordoba was the largest, most prosperous city of Europe. The structure is regarded as one of the most accomplished monuments of Moorish architecture, most notable for its arcaded hypostyle hall, with 856 columns of jasper, onyx, marble, and granite which were made from pieces of the Roman temple which had occupied the site previously. Inside the Mezquita, you will also be able to see the Renaissance cathedral which dates back to the early sixteenth century.